Approximately 137 million days were lost from work in the UK due to sickness in 2016. Researchers from the Medical Research Council Lifecourse Epidemiology Unit (MRC LEU) at the University of Southampton, will join colleagues from Keele University and Guy’s and St Thomas’ NHS Foundation Trust to investigate whether an occupational health advice service for patients consulting with their GP will reduce absence from work due to ill-health. 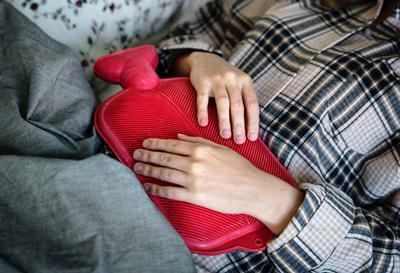 The study is funded by a major grant of £1.5 million from the National Institute for Health Research (NIHR), awarded to Keele’s Research Institute for Primary Care and Health Sciences. Approximately 137 million days were lost from work in the UK due to sickness in 2016 (according to the Office for National Statistics) however few employees currently receive support to manage their health at work. GPs offer fit notes, previously known as sick certificates, when they feel a patient needs time off work due to ill health. However, GPs report that they find it difficult to provide work-related health advice during consultations with patients. This new study - the WAVE trial – is funded by the NIHR’s Health Technology Assessment programme. Over the next 4.5 years, it will adapt a previously successful occupational health advice service developed and tested in Keele in the SWAP trial so that it is suitable for many more patients consulting their GP with health conditions affecting their ability to work. A small number of patients, absent from work due to their health problem, will be invited to test out the new intervention in a feasibility study. After this, the intervention will then be tested in a large randomised controlled trial to investigate whether it reduces the number of days off work, and whether it is cost-effective for the NHS. Professor Karen Walker-Bone said: “Our Centre opened in 2014 with an initial investment of £1.4 million over 5 years. This investment has enabled us to build collaborations and develop a critical mass of research skills that we can use to answer some of the more important questions for society, as this new award demonstrates. “Long-term sickness absence and disability start with a first Fit Note in primary care but GPs have very little time to talk to patients about their work and have to focus on the health problems,” Professor Walker-Bone continues. “Unfortunately, for some patients, they are starting on a pathway that could lead to long-term work loss and there is plenty of evidence that worklessness itself causes low self-esteem, depression, loss of social standing, indebtedness and worse physical health. “A simple, cheap vocational intervention early in the pathway could enable early identification of major work issues (e.g. bullying or unsuitable workplace design) and development of strategies with the individual to address these problems early on. The potential saving to individuals and society could be enormous,” she concludes. Professor Cyrus Cooper, Director of the MRC LEU and a co-PI of the Centre of Excellence added, “This success is testimony to the wonderful national investigative team built around this University of Southampton Centre, addressing critical issues in Work and Musculoskeletal Health." The MRC LEU, University of Southampton hosts the Arthritis Research UK/MRC Centre for Musculoskeletal Health and Work. Directed by Professor Walker-Bone, and involving several Southampton colleagues (Professor Cooper, Professor Coggon, Dr Linaker, Dr Harris, Dr Syddall, Dr Ntani, Ms D’Angelo) with the over-arching aim to find cost-effective ways to reduce the disability for work caused by musculoskeletal disorders.